Valentine’s Day is right around the corner and I love it!!!! I adore Valentine’s Day. The theme, the colors, glitter, roses…I could go on and on. Oh and did I mention the chocolate?! 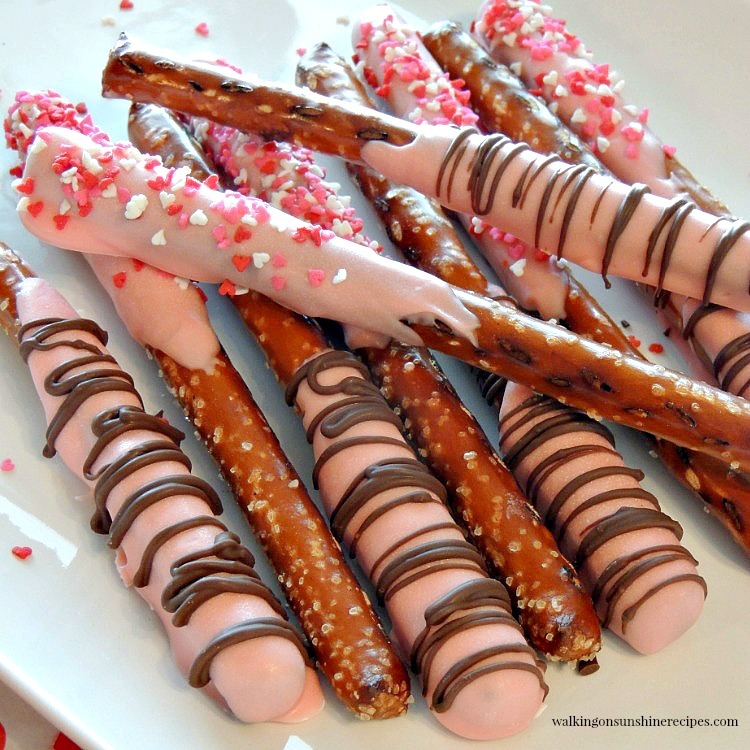 Yes, the preferred food for Valentine’s Day is chocolate. At least that’s my preferred Valentine’s Day treat. 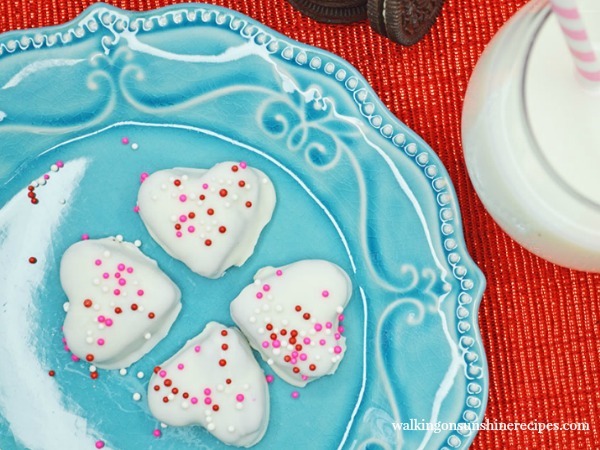 I’ve rounded up 15 of the best, tastiest, delicious treats for Valentine’s Day. 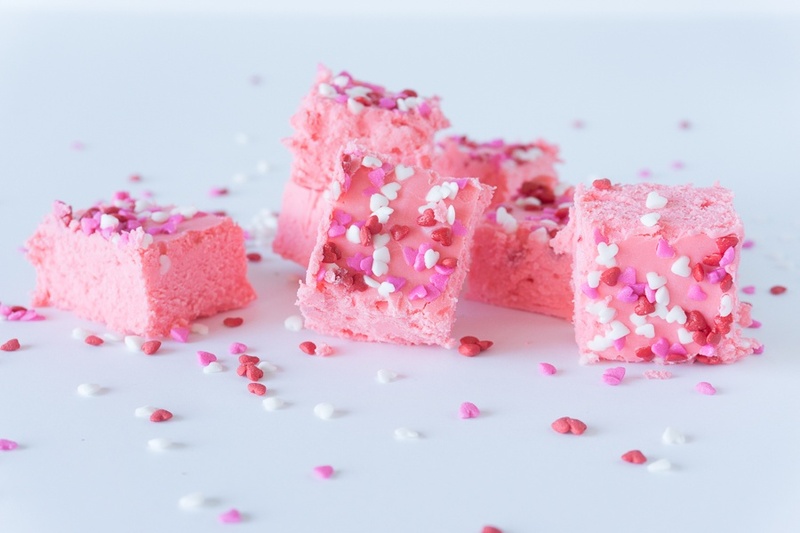 How pretty is this pink Valentine’s Day fudge?! I love it!! The best part? It’s only three ingredients, you can’t beat three ingredients and tasty. This one is another three ingredient recipe and with the addition of Oreos, you cannot go wrong. Use different colored sprinkles to customize the look a little more. I know Tatanisha, who created this recipe, and let me tell you, the woman and her husband are talented but their recipes are easy to execute. You know, Charles Schultz, gifted us all with The Peanuts, said, “All you need is love. But a little chocolate now and then doesn’t hurt.” I wholeheartedly agree with the man. 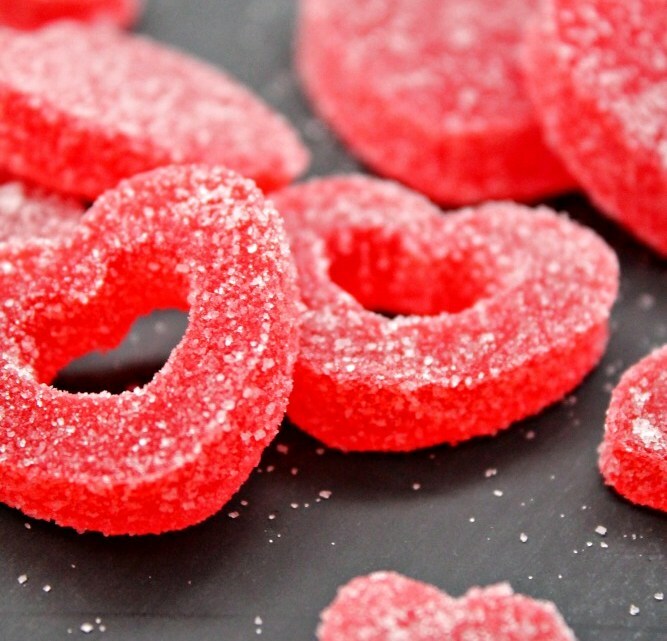 Sweet and salty combine for this Valentine’s Day treat. These are adorable and even though I don’t like conversation hearts, I could really get behind these tasty treats. 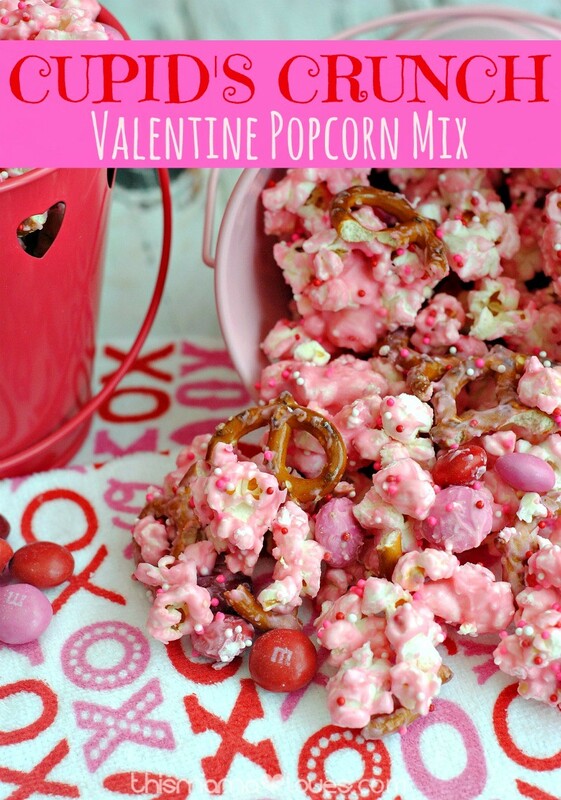 My kids would love these for Valentine’s Day! 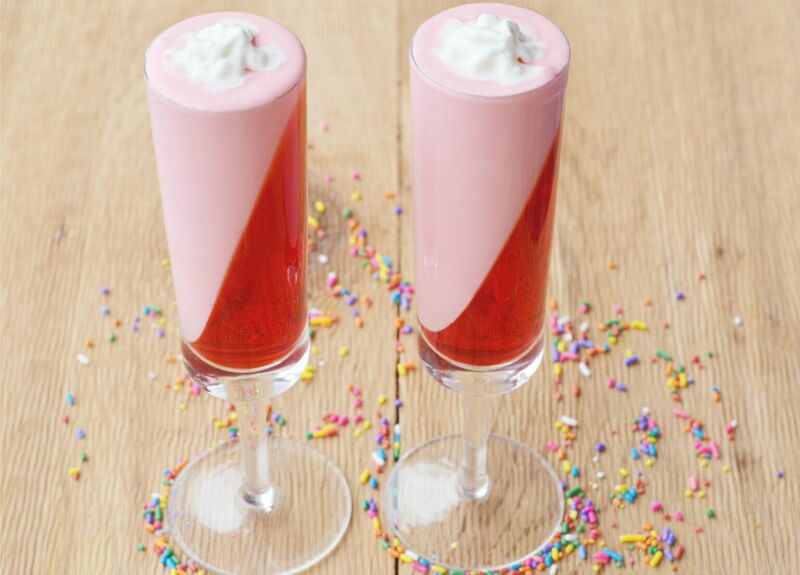 Pink and Jello with sprinkles. I’m not a huge fan of coconut flakes so I would probably substitute that ingredient with something else. I’m not sure what though. The blogger who created this recipe suggested ground nuts but my son is allergic to tree nuts so I’ll probably use white chocolate to cover the cake balls. These are so festive and reading the instructions the recipe doesn’t seem too challenging. They look challenging that’s the great thing about them. Nothing beats a good old fashioned cupcake. Absolutely nothing. Frozen raspberries and then a bunch of yumminess (that’s a word, right?) 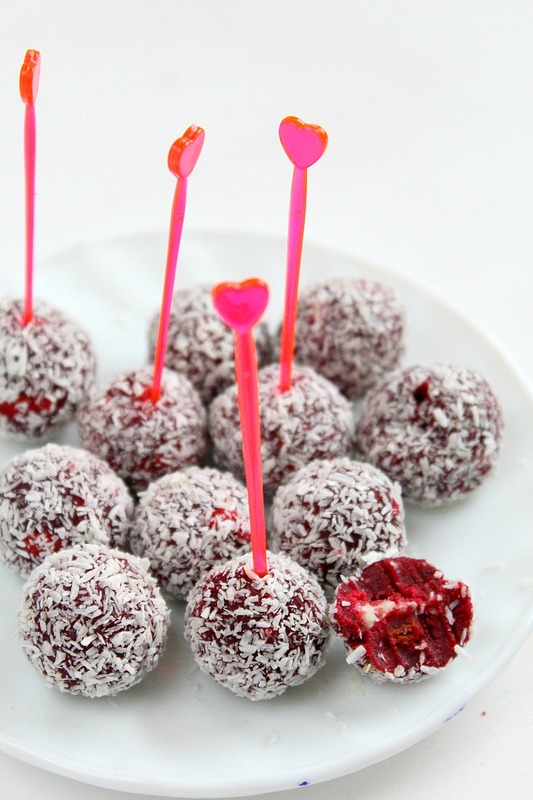 and sugar, raspberries count as making these healthy Valentine’s Day treats, right? 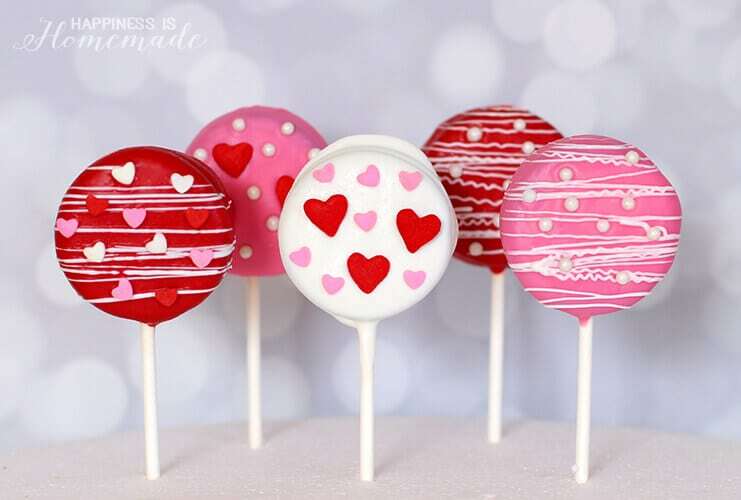 These are so adorable and I think it may not be too difficult to make. You always hear about how difficult it is to make candy. The recipe instructions are really easy to follow though. 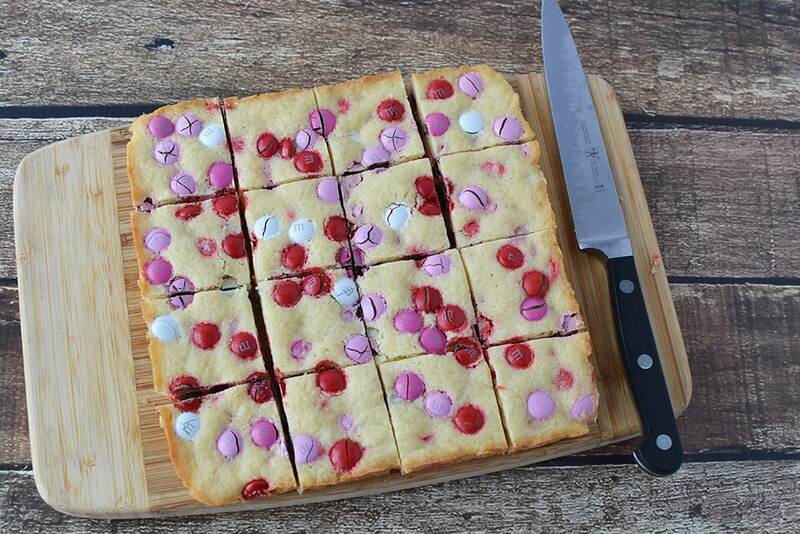 I love cookie bars and this Valentine’s Day treat only has four ingredients! Pink and pretty. Sweet with a hint of salty. 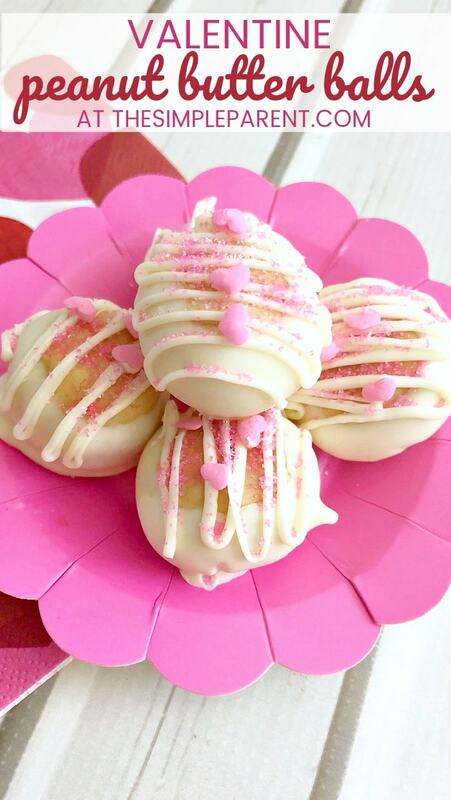 Tell me these Valentine’s Day treats don’t look as delicious as they are adorable? Do you remember when pops, as in a form of lollipops were all the rage? Thank goodness that’s a trend that stayed because I love just about any pop! Plus these are so pretty! My cousin, Katie, introduced me to Buckeyes and I”m so grateful!! This is a spin on the classic buckeye with white chocolate rather than milk chocolate. I think it definitely has potential to be a crowd pleaser! Not every school has a Valentine’s party, which is really sad because I loved Valentine’s Day when I was in elementary school. 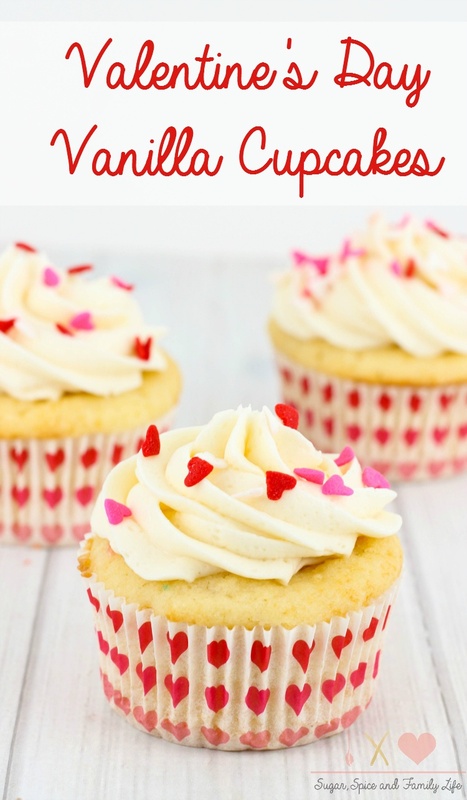 In case your little Valentine does get to celebrate Valentine’s Day, check out these adorable homemade Valentine’s Day goodies! 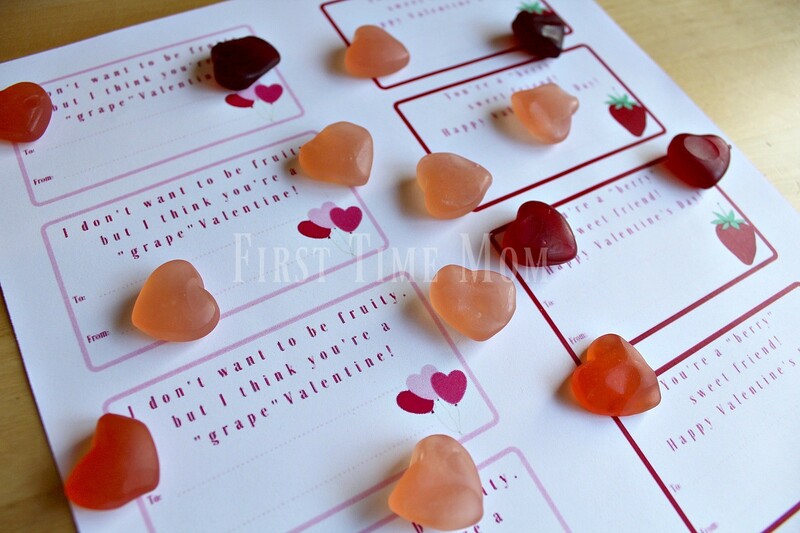 Free Printable Valentines Cards You “Donut” Want to Miss! 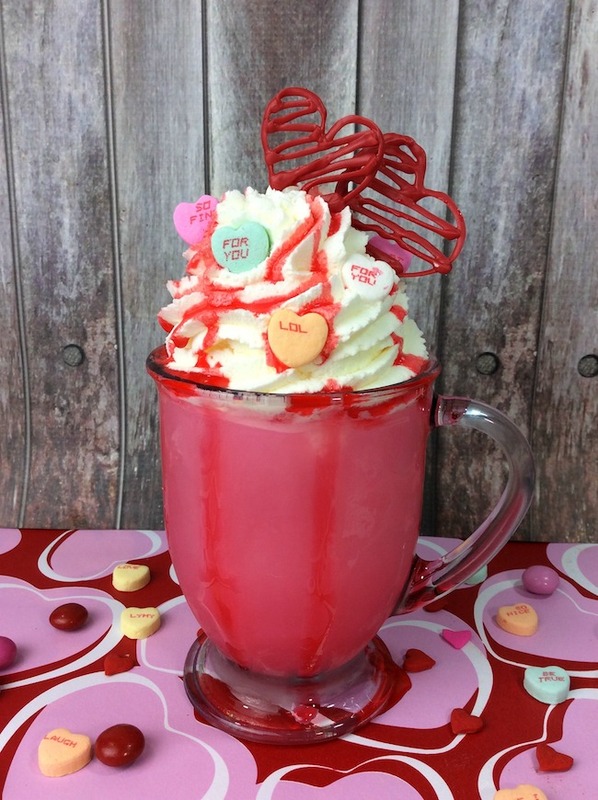 Whether you’re celebrating Valentine’s Day the traditional way or going to a Galentine’s Day party, these sweet treats are the way to go! Pin the image and let me know if you make any of them!